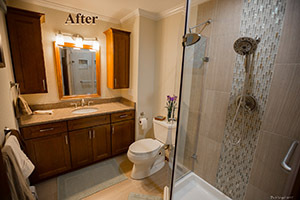 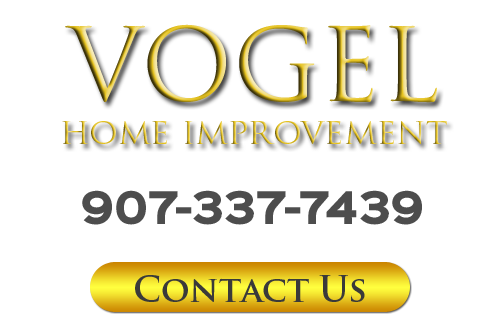 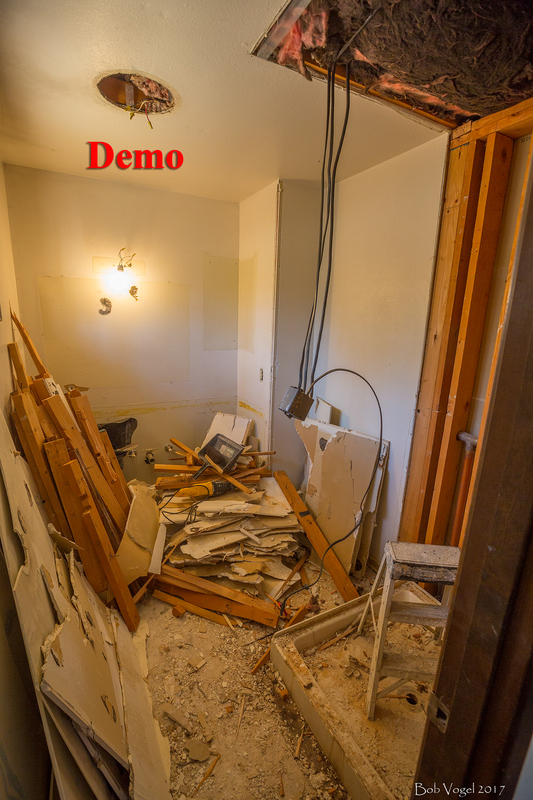 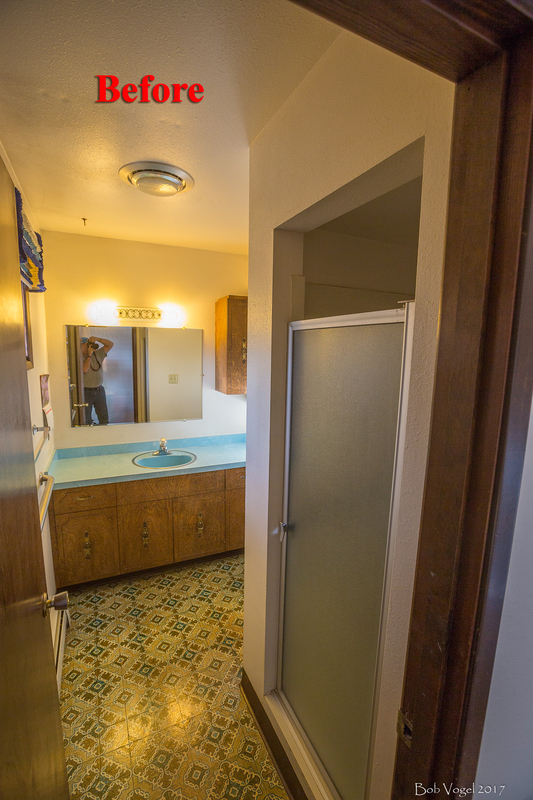 The remodel of this master bathroom I did for a client in Anchorage was one of the favorite challenges I love to take on with services I provide as Vogel Home Improvement, completely changing an old bathroom into an entirely new space. 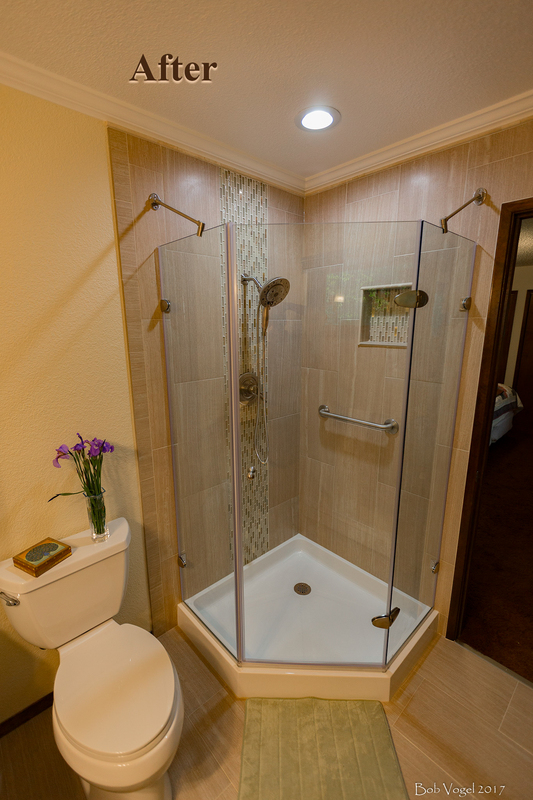 With this project my client wanted to open things up by replacing the claustrophobic walled shower enclosure with a modern glass surround and update the area with porcelain tile, crown molding, new cabinetry and granite sink top. 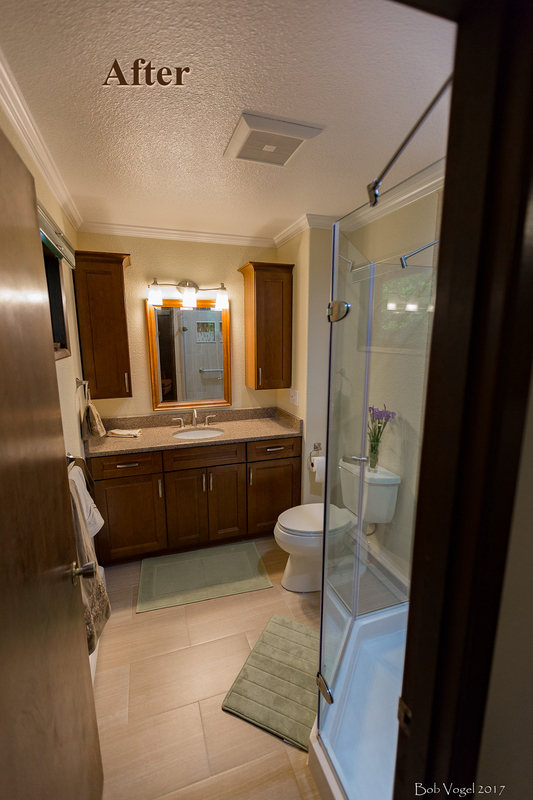 Nothing was left untouched and this bathroom remodel came to life with new wall texture, paint, ultra-quiet and efficient exhaust fan, new switch positioning and budget-saving LED lighting throughout. 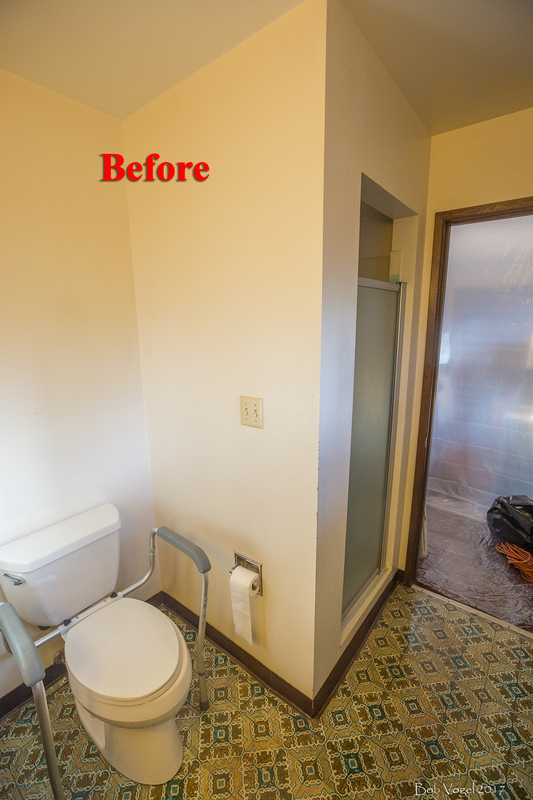 The result is a beautiful master bathroom my client will enjoy for years to come.